While some details, such as pricing, are still unannounced, the accessory should include power monitoring, mutliple networking options, and its own on/off controls. Plug detection will keep power off unless an outlet is actually being used. 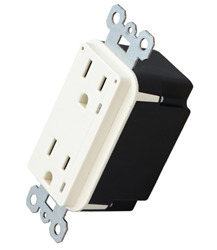 It will feature two connected plugs with a 125V/20A commercial rating. The In-Wall Outlet is expected to ship sometime in the third quarter. The Smart Outlet dates back to 2015, making it one of the older HomeKit products on the market. ConnectSense's product is noteworthy because most other HomeKit power control solutions instead are plugged in and add bulk. 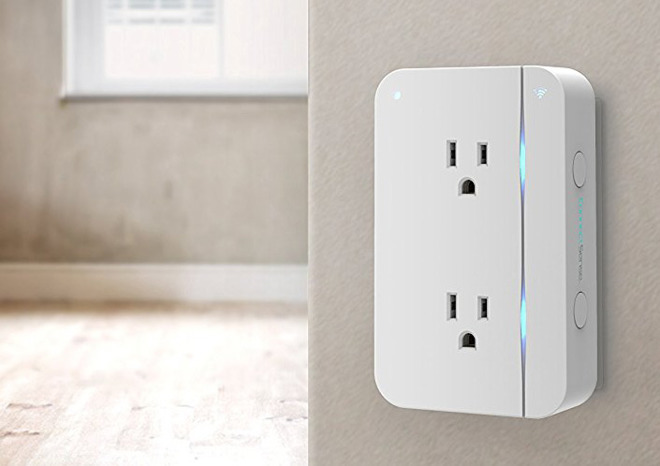 By offering an in-wall outlet, ConnectSense offers a more discreet form of smart home control with HomeKit and Siri integration, much like a HomeKit wall switch. More details should be made available at next week's CES 2018 event in Las Vegas. AppleInsider will be in attendance and provide full coverage.